unit (or return) can directly act on an ordinary value only, but not on a monadic value. To act on a monadic value, you need to bind it. How come we do not need to lift return? lifeM cannot be applied to return at all. unit (or return) is neither a pure function nor a monadic function. Instead, it is an half-monadic function, meaning that while its input is an ordinary value, its output is a monadic value. (bind return) applies to xs. The lift function in this tutorial is not the same as the liftM in Haskell. So you should use lift (but not liftM) with bind. If we use the identity bind unit xs = xs, the proof will be much shorter. The meaning of f' * g' should be (bind f') . (bind g') instead. The meaning of f' * g' should be bind f' . (bind g') instead. If functional languages had called them the Mappable, Applicable, and FlatMappable interfaces, and used map(), apply(), and flatMap() instead of operators, it would have avoided a lot of confusion. Monads in Haskell can be thought of as composable computation descriptions. The essence of monad is thus separation of composition timeline from the composed computation’s execution timeline, as well as the ability of computation to implicitly carry extra data, as pertaining to the computation itself, in addition to its one (hence the name) output, that it will produce when run (or queried, or called upon). This lends monads to supplementing pure calculations with features like I/O, common environment or state, etc. 2. concat the last debug string, gs, to the string generating by f', fs. Generalize the bunny invasion example in the list monad chapter for an arbitrary number of generations. As 1 = 1^4 is not a sum it is not included. For a number having more than 6 digits, the fifth powers of its digits cannot be the number itself. So we should consider only numbers with less than 7 digits. When 3 –> 2, in exchange for 4 –> 9, we earn — we get 299999. This is the “official” Haskell solution to Euler problem 27. This solution is incomprehensible. The following hints are as far as I can get. b must be a prime number, since x^2 + a*x + b must be a prime number when n=0. a = m - 1 is a choice of the prime number b (in x^2 + a*x + b) just(?) smaller than 1000. Why not the prime number 997? It is because 997 is not a prime number generated by the formula x^2 - x + 41.
is for generating 41 primes with the greatest Euler’s lucky number 41. Learning functional programming and partially applying functions to other functions and such helped me understand tensors a lot better, since that’s basically what contraction is doing. It’s nice to see that the approach can be taken further. I also think Haskell and some similar languages (especially Idris) have a great conceptual synergy with physics. In physics too we strive to express things in ways that strip out extraneous details as much as possible. Haskell really embraces this concept in the sense that you write functions essentially by writing equations. You don’t describe all the mechanical steps to produce an output, you just write down the ‘invariant content’ of the function. Just because a functional language is functional ([maybe] even completely pure like Haskell! ), it doesn’t mean that programs written in that language must be pure when [run]. 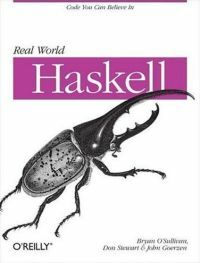 Haskell’s approach, for example, when dealing with side-effects, can be explained rather simply: Let the whole program itself be pure (meaning that functions always return the same values for the same arguments and don’t have any side effect), but let the return value of the main function be an action that can be [run].